First off, I think it needs to be said that I loved it. Overall, it was really well edited, really over-the-top, really engaging, and it worked. That said, I don’t know if I liked some of the pacing decisions, or a couple of the topics. One of the conspiracies that he talked about was how iPhones are always listening and stuff, but he never was able to really show any real evidence of that, and the conspiracy was split up into 4 parts, and had other stuff in between, and it just felt like maybe he felt he had to, because he knew it wasn’t compelling enough all put in the same place. The big one though, is the fire “conspiracy.” As somebody who has helped my parents burn their field in the past, and has a lot of experience when it comes to controlled fires and fires that get out of control, sometimes you do wind up with crazy lines like that. Like the fire will just stop in a pretty much straight line because the wind picked up in a different direction, or because the grass was a little too moist to actually catch. I also don’t want to downplay the absolute tragedy that occurred, and I think Shane did a great job of really making sure we remember how real this event was. When a house burns, and the trees surrounding it don’t, that doesn’t mean the government was secretly destroying them and trying to make it “seem natural.” Houses burn a lot faster and cooler than what it would take for a very large, very wet tree would require, to start burning. 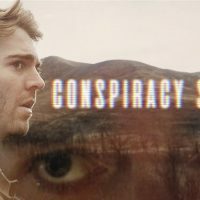 Shane includes a clip of a guy zooming out across a subdivision where all the houses are gone, but there’s still a ton of trees, and the guy starts freaking out saying “This was a FOREST FIRE? !” and tried to use that to make it seem like a conspiracy, but I’m not surprised in the slightest. I know that in times like that, people want to look for some kind of explanation for what’s going on, and blaming everything on a government conspiracy is really easy, but it’s not realistic, and it doesn’t help the people who were actually affected. Here’s the video itself, and despite my criticisms, I think it’s well worth watching. Shane also does something really important, and includes links for how to help anyone affected by those fires, so I’ll also include those links here. You can also text the word CAWILDFIRES to 90999 to make a $10 donation to the red Cross.